Valid From : Jan 15, 2019 Receive $250 off your second installment when you sign a Spring + Annual or Summer + Annual lease for a two-bedroom apartment! 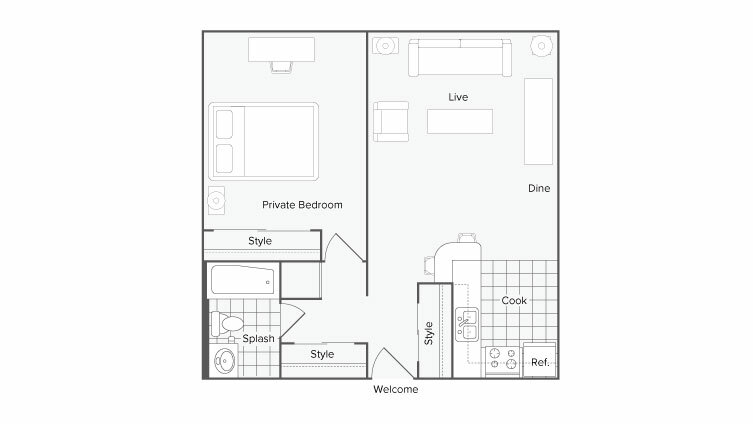 Valid Through : Feb 01, 2019 - Sep 30, 2019 Apply and Sign for our "Floor Plan of The Week" to receive a WAIVED application fee! Contact our office for more details. **	SQFT listed is an approximate value for each floor plan. No Pets allowed at this time. Smoking in designated outdoor locations only.